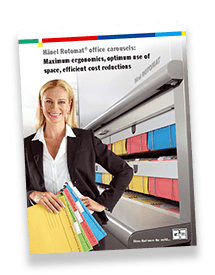 Rotomat Vertical Office Carousels from Hänel provide greater storage capacity and will deliver your stored stuff right to you. 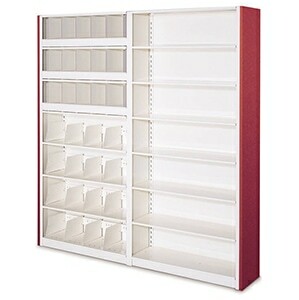 More storage, less effort. 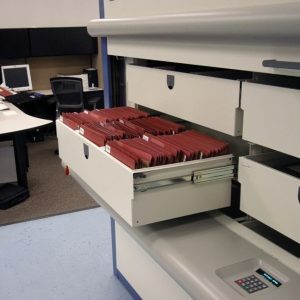 That’s a double win. 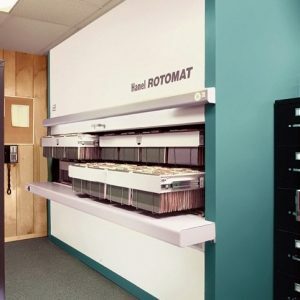 As an automated storage and retrieval system, the Rotomat office carousel is designed and manufactured based on the tried-and-tested “Ferris Wheel” model, or vertical carousel principle. 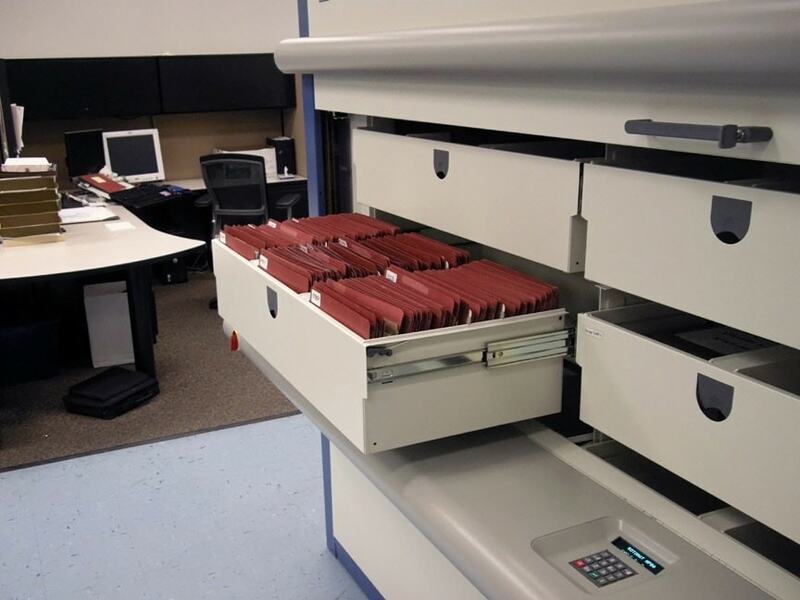 At the touch of a button, the supplies, files or media are brought to the operator, and not the other way around. 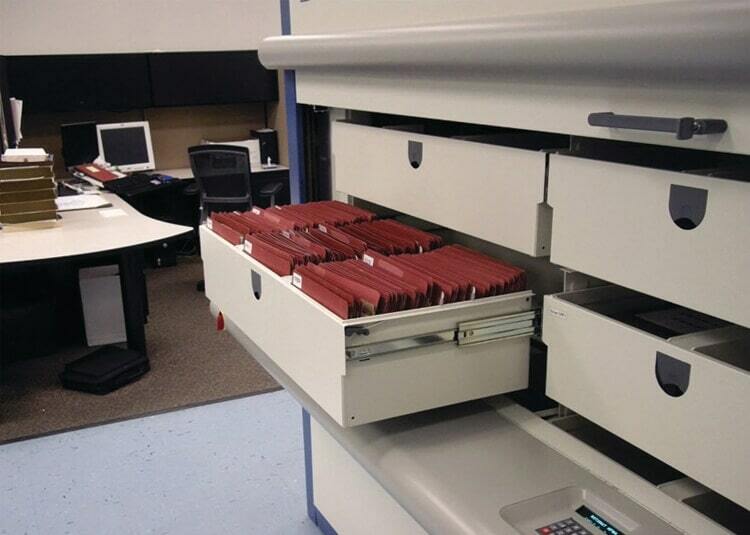 This saves time. 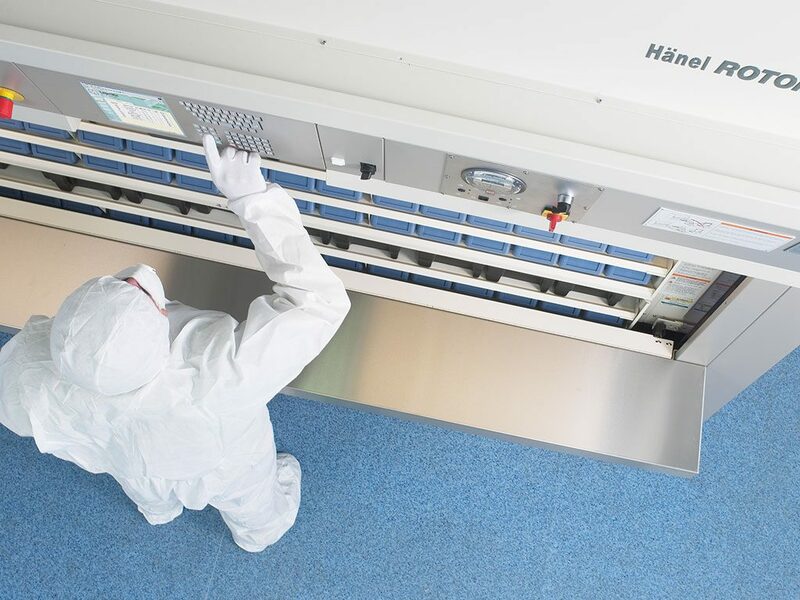 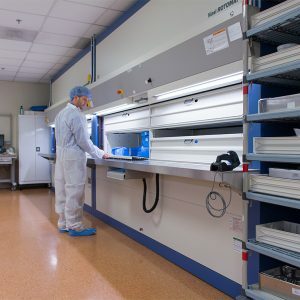 Its compact construction allows up to 60% more storage capacity in the same footprint by making use of the available room height. 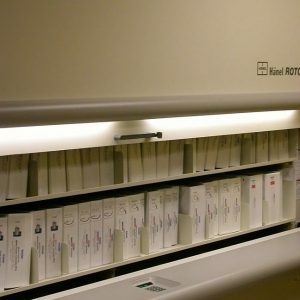 This saves money. 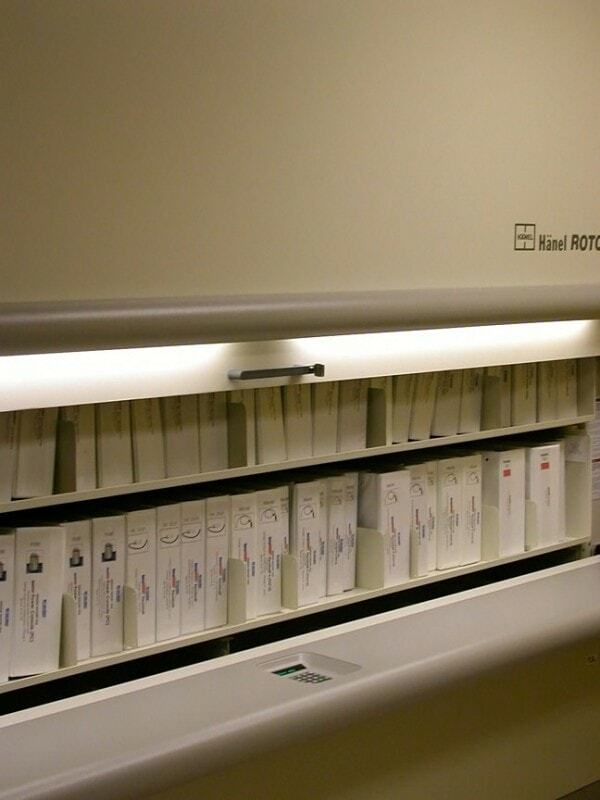 Not a bad combination. 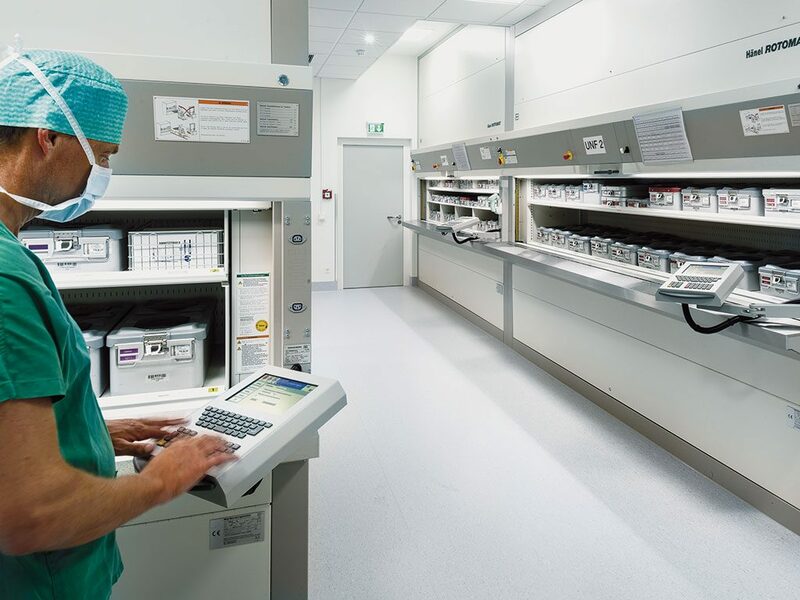 Put your high ceiling spaces to work for you. 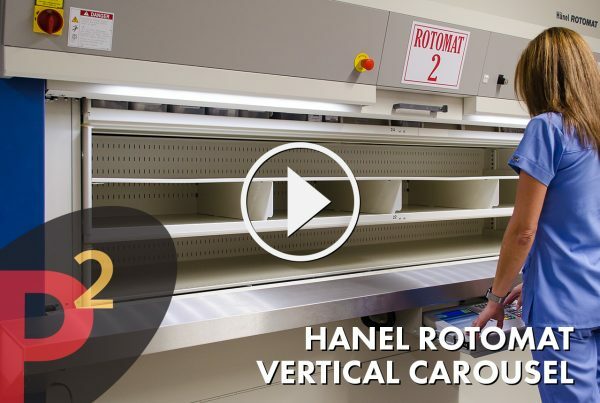 Discover how Rotomat Vertical Carousels from Hänel can help take your storage to new heights. 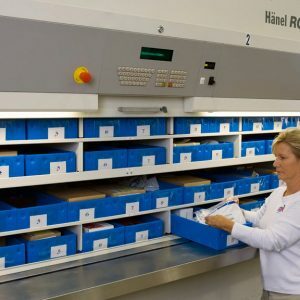 Can’t make heads or tails out of your current storage dilemma? 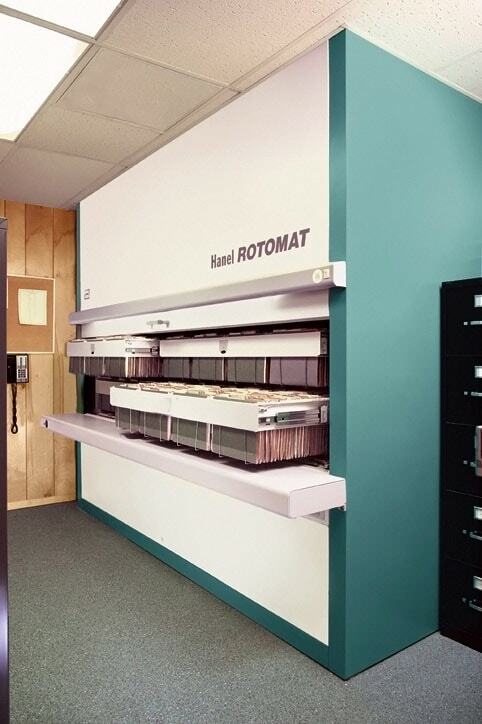 Download the Rotomat Vertical Office Carousel brochure to help you make the right call for better storage. 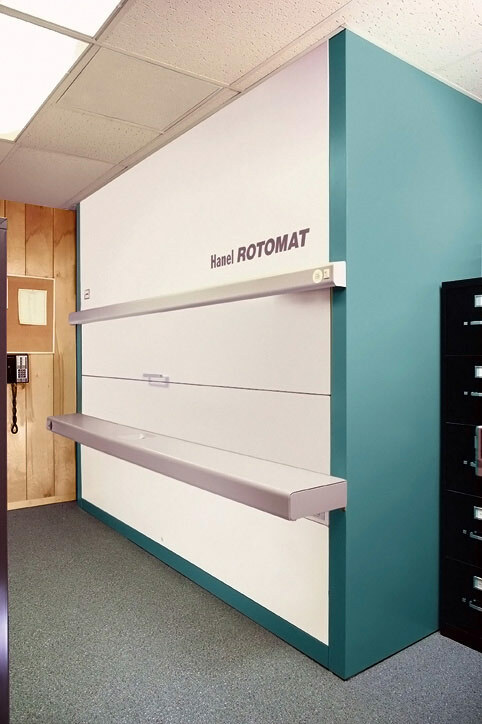 The vertical office carousel, Rotomat, comes with an available inventory management system that helps accurately track stored items. 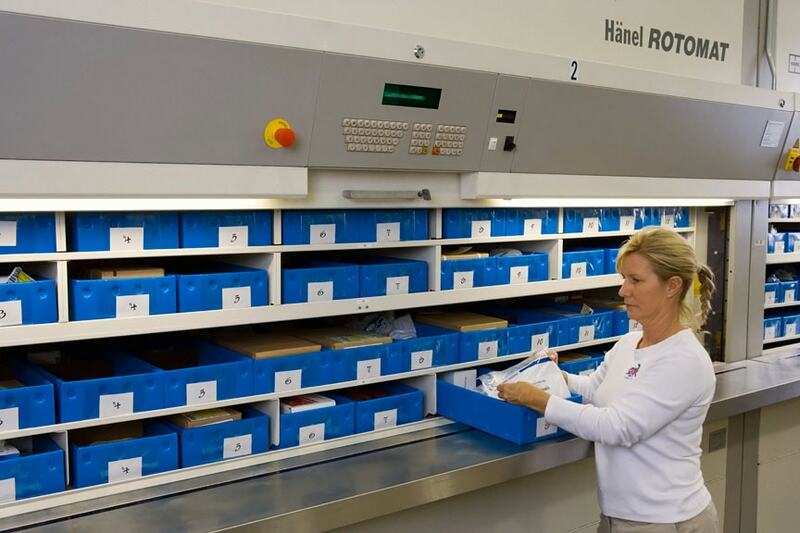 This allows you to build pick lists and project inventory surplus or depletion. 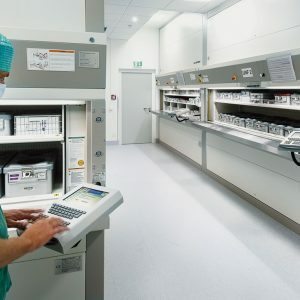 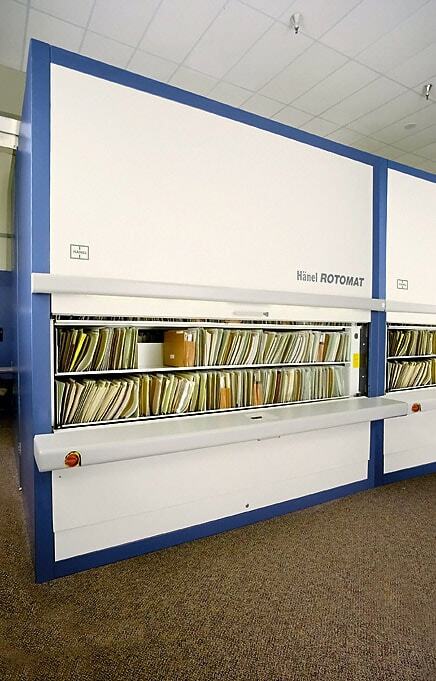 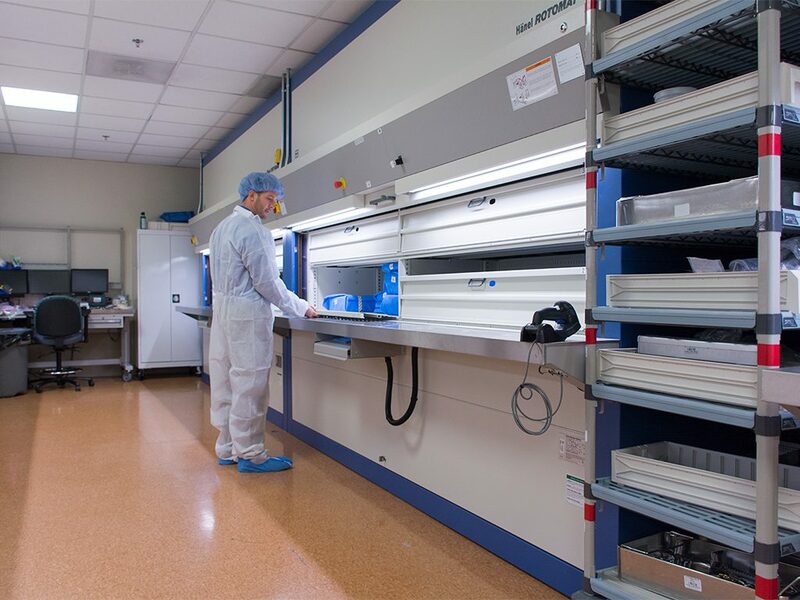 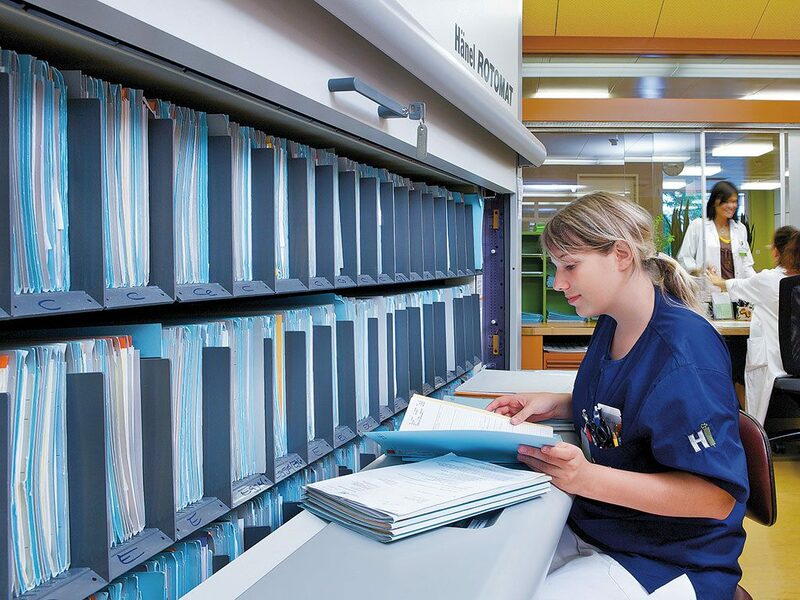 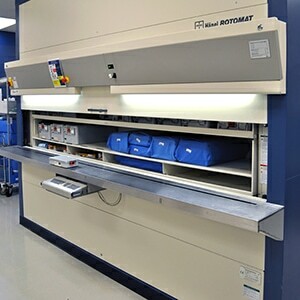 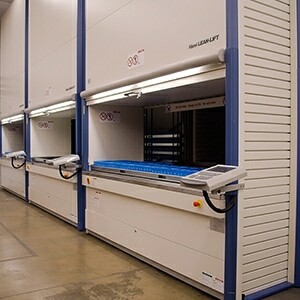 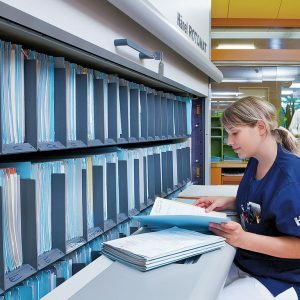 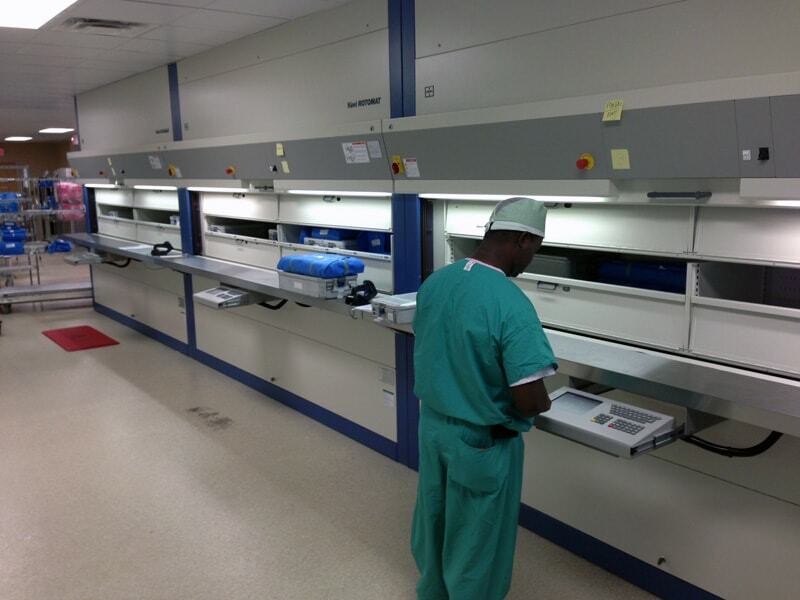 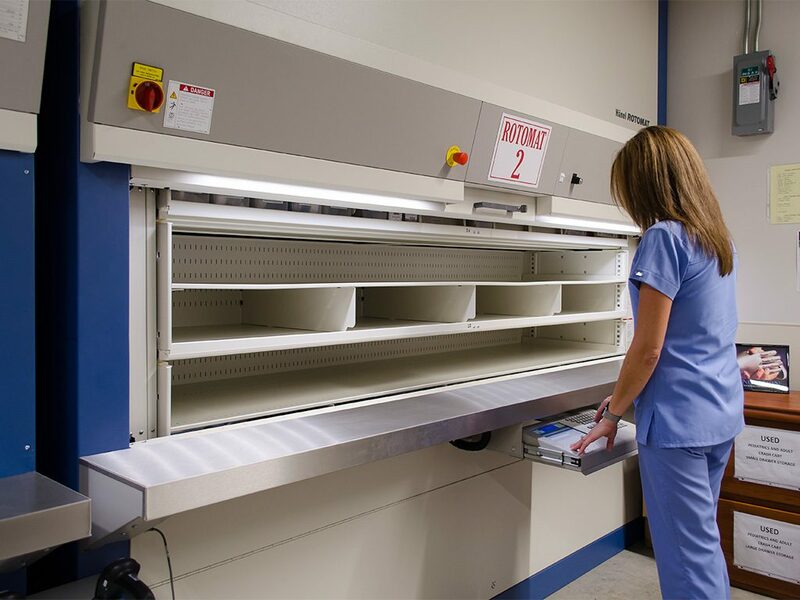 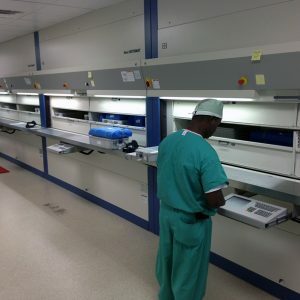 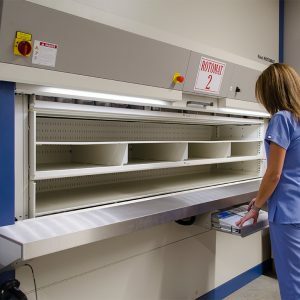 The Rotomat automated storage and retrieval system is a great fit for several types of facilities, from storing mortgage documents in a bank to sterile supplies in a hospital. 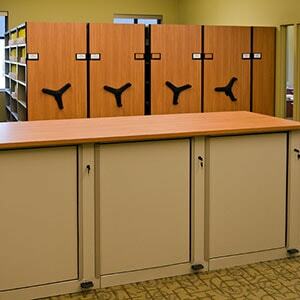 Storage… access… space. 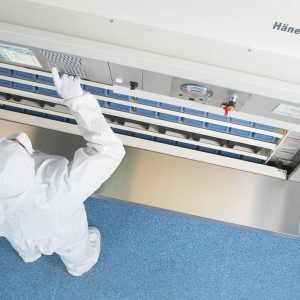 Trifecta! 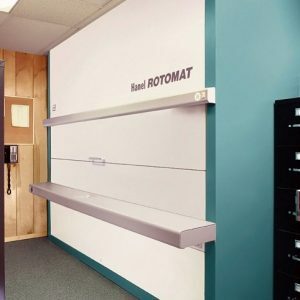 For an automated storage and retrieval system that can save floor space, increase productivity, expand inventory control, improve inventory security and create better ergonomics, look to Rotomat. 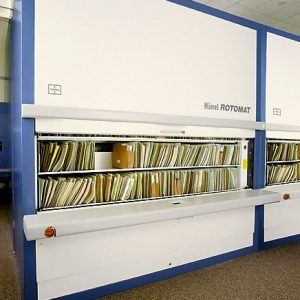 It’s “upward mobility” without the need for a ladder.